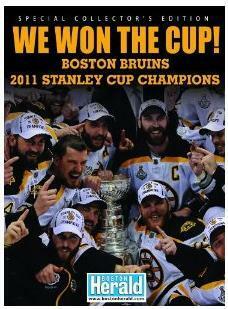 Boston Bruins: 2011 Stanley Cup Champions chronicles the Boston Bruins dominant run to their first Stanley Cup championship since 1972 using the words and photographs of the award-winning Boston Herald. This dazzling keepsake includes highlights from the regular season, game-by-game recaps of all the playoff games, special player features, and extended coverage of the Stanley Cup finals. Over 100 full-color photos included. A must have for all Bruins faithful.